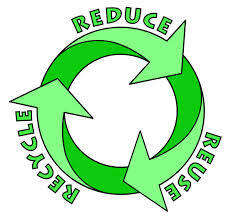 Recycling is the recovery or reuse of usable materials from waste. About 5 percent of hazardous waste in the United States is recycled as solvents; a similar amount is recovered as metals. For example, approximately 15 percent of sulfuric acid is recycled in chemical manufacturing. In the past, most sulfur used for sulfuric acid production was mined; now the amount of sulfur recovered from smelters (facilities that remove metals from ores), refineries (facilities that purify substances), and manufacturers is more than double that produced by mining. In the United States, the practice of using industrial wastes, which often contain hazardous wastes, as ingredients in commercial fertilizers is encouraged as a means of recycling hazardous wastes. The safety of this practice has recently been called into question, however, and some states are starting to regulate it. Recycling, collection, processing, and reuse of materials that would otherwise be thrown away. Materials ranging from precious metals to broken glass, from old newspapers to plastic spoons, can be recycled. The recycling process reclaims the original material and uses it in new products. We should start recycling in Bangladesh. Otherwise our country will be full of pollution and we will be not able to live here. 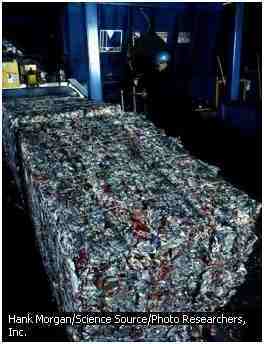 The Alcoa Recycling Company in New Jersey processes aluminum cans into large bales at a collection point. In an effort to conserve nonrenewable natural resources, many industries and individuals recycle waste aluminum. The government of the Canadian province of Ontario has implemented extensive recycling and conservation programs in recent decades. 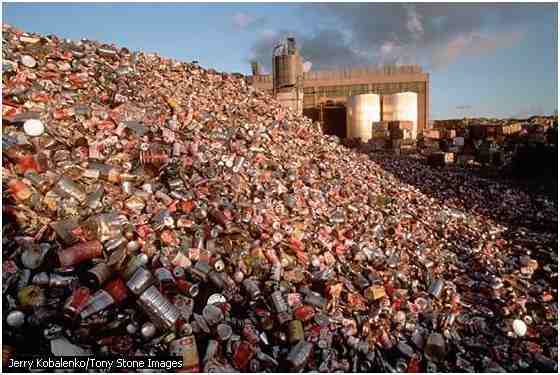 Shown here, piles of cans wait to be recycled at a facility in Hamilton, in southwestern Ontario. In newspaper recycling, old newspapers are collected and searched for contaminants such as plastic bags and aluminum foil. The paper goes to a processing plant where it is mixed with hot water and turned into pulp in a machine that works much like a big kitchen blender. The pulp is screened and filtered to remove smaller contaminants. The pulp then goes to a large vat where the ink separates from the paper fibers and floats to the surface. The ink is skimmed off, dried and reused as ink or burned as boiler fuel. The cleaned pulp is mixed with new wood fibers to be made into paper again. Paper and paper products such as corrugated board constitute about 37 percent of the discards in the United States, making it the most plentiful single item in landfills. Experts estimate the average office worker generates about 5 kg (about 11 lb) of wastepaper per month. 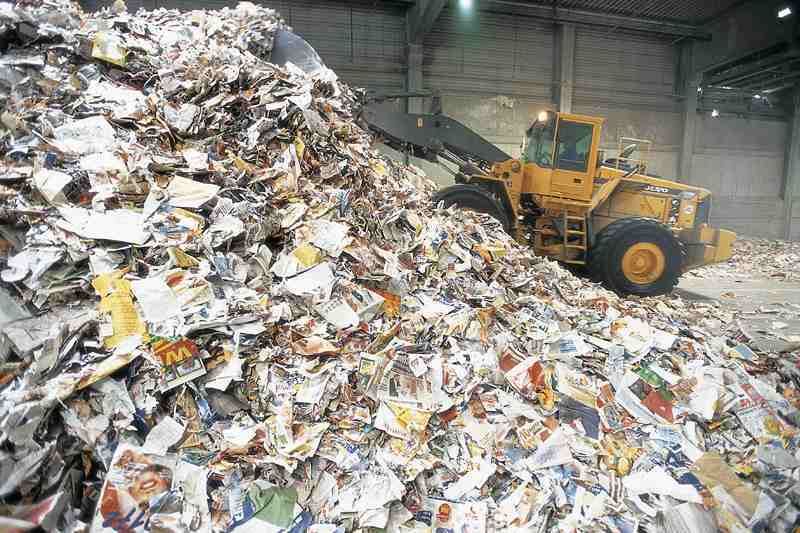 Every ton of paper that is recycled saves about 1.4 cu m (about 50 cu ft) of landfill space. One ton of recycled paper saves 17 pulpwood trees (trees used to produce paper). What is Condensed Water Vapor?